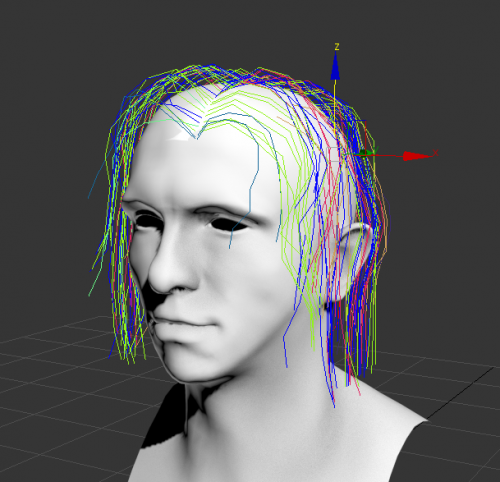 论文： A practical and controllable hair and fur model for production path tracing. 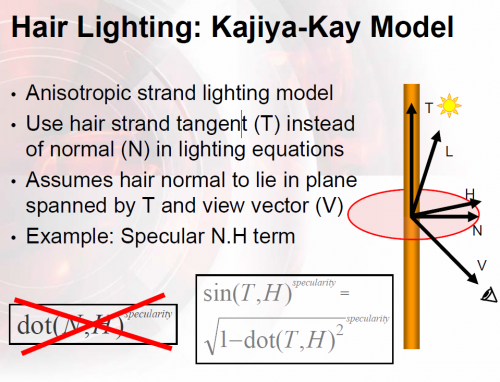 Kajiya, James T., and Timothy L. Kay. 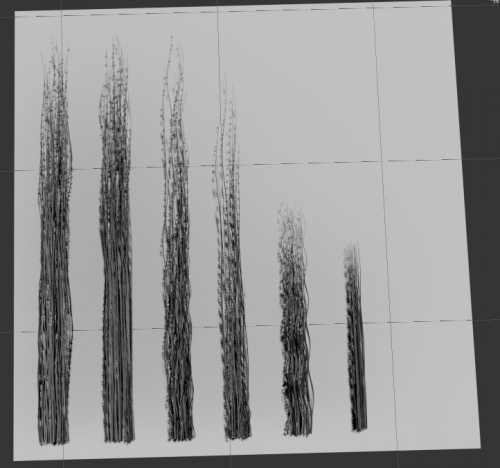 “Rendering fur with three dimensional textures.” ACM Siggraph Computer Graphics. Vol. 23. No. 3. ACM, 1989. 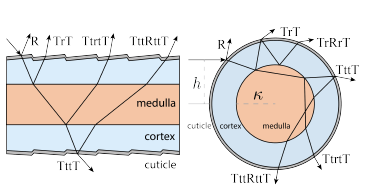 Marschner, Stephen R., et al. 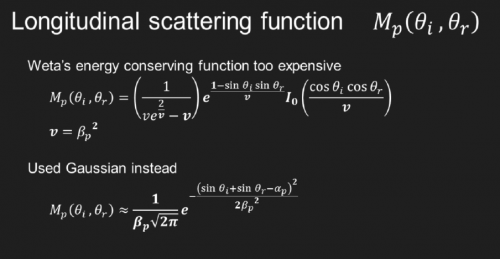 “Light scattering from human hair fibers.” ACM Transactions on Graphics (TOG). Vol. 22. No. 3. ACM, 2003.
d’Eon, Eugene, et al. 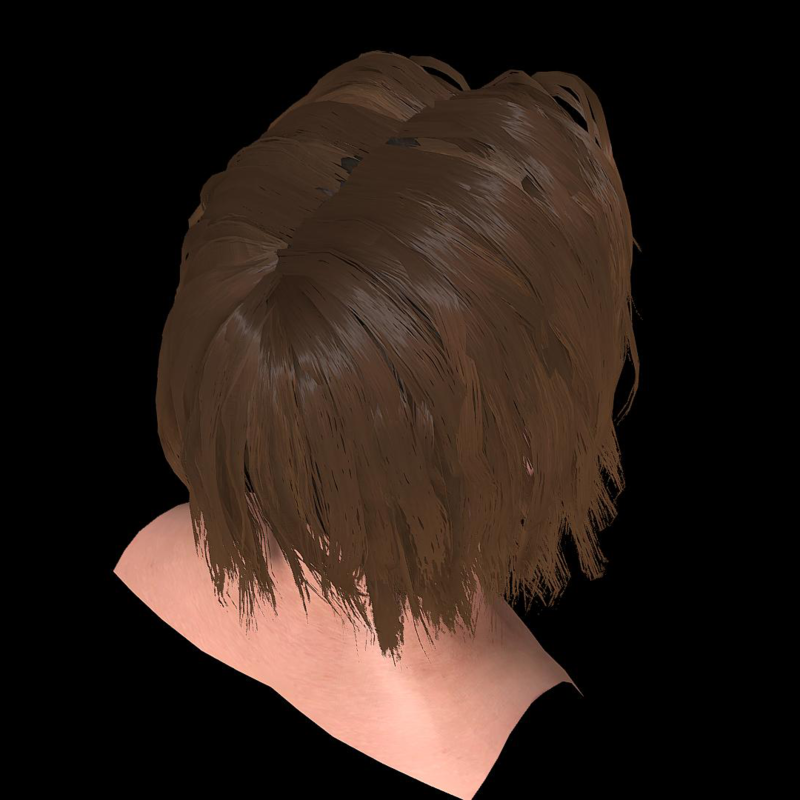 “An energy‐conserving hair reflectance model.” Computer Graphics Forum. Vol. 30. No. 4. Oxford, UK: Blackwell Publishing Ltd, 2011. Yan, Ling-Qi, et al. 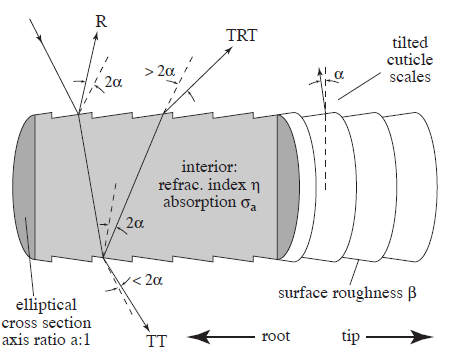 “Physically-accurate fur reflectance: modeling, measurement and rendering.” ACM Transactions on Graphics (TOG) 34.6 (2015): 185. Chiang, Matt Jen‐Yuan, et al. 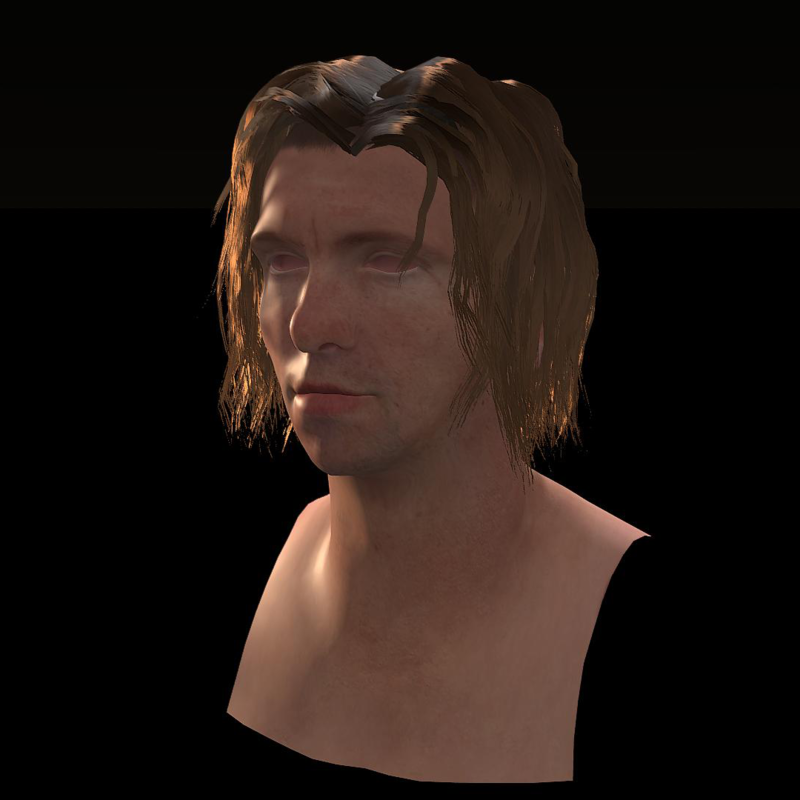 “A practical and controllable hair and fur model for production path tracing.” Computer Graphics Forum. Vol. 35. No. 2. 2016. Saito, Shunsuke, et al. 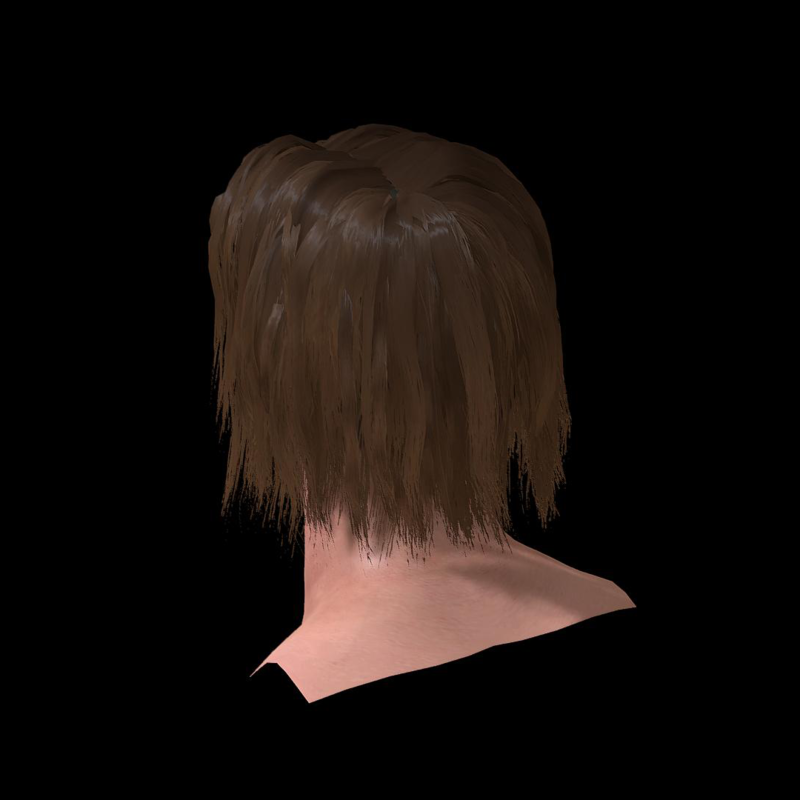 “3D hair synthesis using volumetric variational autoencoders.” SIGGRAPH Asia 2018 Technical Papers. ACM, 2018. 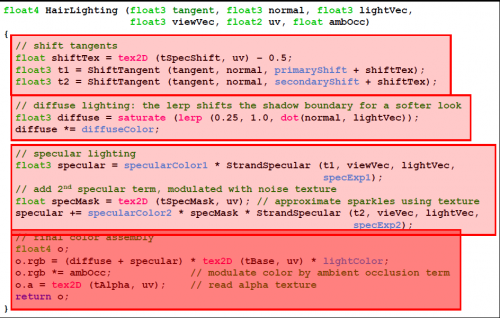 This entry was posted in Blog and tagged Rendering, Shader, Unity. Bookmark the permalink.